Gospel, Jazz, Folk, Country, Rock, Soul, B-Bop, Funk, Rhythm & Blues, Reggae, Ska, Punk and Pop, Soul/RnB, Hip Hop, Grime and Rap it all came "Out of the Blues". Talking Book, universally regarded as a masterpiece, was originally released by Motown on October 28, 1972. The album included a staggering 7 Top 10 Singles including 2 #1 Smashes "Sunshine Of My Life" and "Superstition" and went on to achieve Multi-Platinum status earning Wonder Grammys for Best Male Pop Vocal, R&B Performance and R&B Song. Macy’s “Talking Book” is an all new recording by Macy and her band and was produced by legendary Metallica producer, Hal Wilner. This year is a big one for Gray as she stars in the controversial new film The PaperBoy, directed by Lee Daniels (Precious) and co-starring Matthew McConaughey, Nicole Kidman, Zac Efron, & John Cusack. Since her dazzling debut introduced this singular talent to the masses, Macy has continued to forge an uncompromising musical path beholden only to her own vision. Icelandic alternative folk sensation Of Monsters and Men have emerged as the breakthrough international act of 2012.The bands debut album ‘My Head is An Animal’ reached #3 in the UK album charts, #1 on iTunes and topped charts in Iceland, Ireland, Germany, Canada and America. Of Monsters and Men are pleased to announce new single ‘Mountain Sound’ coming out 5th November on Island Records.Crafting epic songs inspired by their amazing homeland, fairy tales and personal history, Of Monsters and Men have gone from battle of the bands winners and a must-see act at SXSW to internationally and critically acclaimed superstars. The bands first single ‘Little Talks’ to date has received over 22 million views on YouTube. 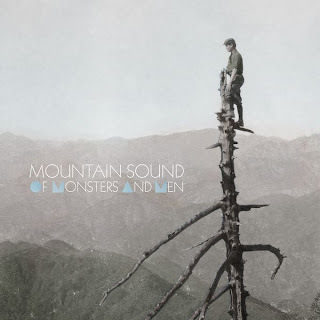 New single ‘Mountain Sound’ is full of spirited harmonies and insatiable energy, which will undoubtedly captivate fans in the same way ‘Little Talks’ has done. Emotional lyrics, lush and diverse instrumentation are all powered by hand claps and sing-a-long hooks.Of Monsters and Men began as the solo project of Nanna Bryndís Hilmarsdóttir however it quickly grew with the additions of friends Ragnar “Raggi” Þórhallsson, Brynjar Leifsson, Arnar Rósenkranz Hilmarsson, Árni Guðjónsson and Kristján Páll Kristjánsson. Due to the huge demand to see Of Monsters and Men the band have had to add a second Shepherds Bush Empire date to their 2013 tour whilst upgrading the venues for their shows in Glasgow and Manchester. Full listings below. Bob Dylan's first eight groundbreaking albums are exclusively available now. Jessie Ware's hugely anticipated debut album 'Devotion' yesterday capped a flurry of critical praise with a much coveted nomination for this year’s Mercury Prize. Having previously gone straight into the album chart Top Five, this accolade confirms Jessie as one of the UK's brightest new stars. With album single 'Wildest Moments' going on to the BBC Radio 1 A-list and recently receiving an intimate rendition on BBC One's Breakfast Show, now comes new single 'Night Light'. True to its name, 'Night Light' sees Jessie's powerhouse vocal shining with stirring emotion to a backdrop of swirling guitars, majestic piano flourishes and addictive down-tempo rhythm. Released ---- on PMR Records, ‘Night Light’ is equal parts modern soul and timeless pop that demonstrates yet again that Jessie Ware is in a class entirely of her own. Along with this, Jessie Ware will be embarking on her first UK and Ireland headline tour in November, with dates in London and Manchester already sold out long in advance. Barclaycard Mercury Prize – Albums of the Year 2012 nomination. In June, the London duo of producer George Reid and singer Aluna Francis released their debut EP, 'You Know You Like It' on the experimental Tri Angle Records. The three tracks seamless marriage of UK glitch and bass culture and sample based production with futuristic R&B sheen and British pop sensibilities packed a contagious punch, winning the accolades of everyone from the NME and The Guardian to Pitchfork and Spin, quickly highlighting AlunaGeorge as one of 2012's brightest hopes. Hot off the heels of that resounding opening gambit, AlunaGeorge now announce their new single, ‘Your Drums, Your Love’. Picking up where 'You Know You Like It' left off, ‘Your Drums, Your Love’ continues the duo’s streak of cutting-edge club pop with an enticingly downbeat R&B ballad. Reid’s elusively liquid synths, rumbling low-end bass and hip-gyrating electronic sway provide a glistening backdrop to the sweet allure of Aluna’s voice, soaring with the arching, fragile refrain of “I’ve been treading water for your love”, evoking a distinctly 21st century sensation of dance-floor infatuation. Precision-honed, adventurous, infectiously catchy, ‘Your Drums, Your Love’ is further proof that AlunaGeorge embody 21st century British pop at its most instantly classic and exhilarating. Remixes come from The Prototypes, Deebs, Duke Dimont and Lil Silva. This British band still dominate internationally currently on a huge world tour, whilst here in the UK their album re-enters the Top 10 (having never left the Top 40) over 3 months after its release. They have just announced an Arena tour for November this year. Keane will release their new single ‘Disconnected’ on 8th October 2012, through Island Records. 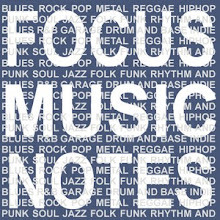 Check out the Focus Music blogspot for news on tour dates, concert tickets, new releases and top songs from today's artists. Wild days ahead in Devon. A leading South West charity is urging us all to go wild. Focus Music, Fashion and Lifestyle. Awesome Inc. theme. Theme images by follow777. Powered by Blogger.